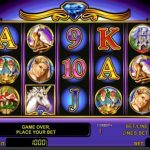 Relinquish the mystical realm of the fantasy world while playing for Bitcoin in this old-school slot hit by Novomatic—the Unicorn Magic slot. 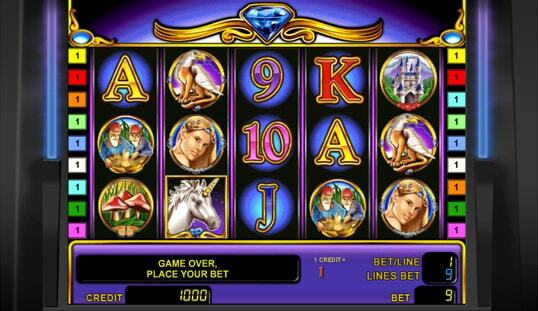 Unicorns remain to be a mythical legend, but they are immortalized by Novomatic in its 2006 release of Unicorn Magic slot. 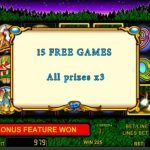 True to its name, this game proves to be magical with its player-friendly features and high chances of winning large rewards. 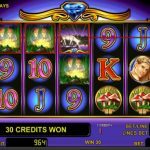 It may have been originally intended for real-money bets, but it has been finally optimized for Bitcoin betting, exposing more players worldwide to experience the majestic wonders this slot game has in store. Design aesthetics are the primary features seen by players upon starting an online slot game, which explains the possible initial reaction of some bettors when they play Unicorn Magic with Bitcoin. This game seems to be lagging behind in the graphics department with its old-school, low-quality graphics that are a few notches behind the quality of the more modern slots. In all honesty, though, it is not that bad, and playing this game for some time is surprisingly entertaining. It also appears that this game’s target market are more of the older generation bettors who are accustomed to the games that were popular back in the days. Similar to its graphics are the sounds used. The background music usually present in the newer slots is missing, except for the classic sound effects that are triggered by certain actions during the gameplay. Again, its lack of engaging sounds is not something to be too sad about. 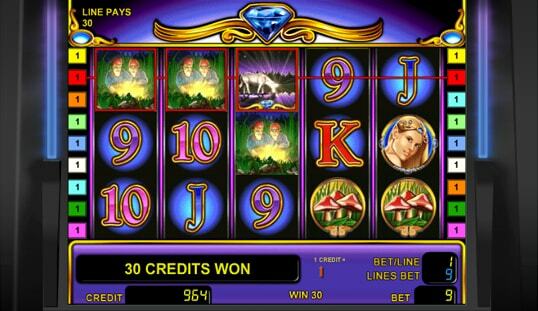 It is in the actual gameplay that this slot emerges as a strong victor. The easy-to-use betting interface, along with its simple instructions, makes the overall experience such a pleasurable one, regardless of your betting preferences. Eleven regular symbols and two special symbols can land on a total of nine lines. Any combination formed with the regular symbols yields rewards, but you can expect to catch larger sums when the Wild and Scatter symbols come in to play. Of course, Unicorn Magic slot has a couple of win-amplifying symbols that make its gameplay more interesting. The Wilds in this Bitcoin slot game functions like the typical Wild symbol—substitute for any regular symbol to complete a winning combination. Not only does it substitute and complete combinations, it also doubles the prize for that active line. 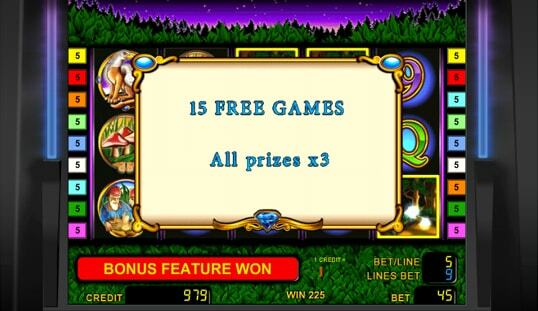 Meanwhile, the Scatter symbol unlocks 15 free games but only when at least three of this kind appear on the reels. This slot game pays from left to right, so all combinations involving both the regular and special symbols must begin from the leftmost reel in order to become a valid combo. Moreover, for every win, you have the option to gamble your prize or collect it. Choose the former then make sure to correctly guess if the card is red or black to multiply your winnings. However, prepare to end up with nothing with one wrong guess. The 15 free games triggered by the Scatters are a great addition to the game. A total of 15 rounds automatically activate, where all prizes are multiplied three times. 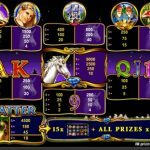 The Unicorn Magic slot may be a little old for today’s taste, but it still packs a few punches that make it a must-play game online, especially in Bitcoin casinos like BTC-Casino.io, FortuneJack, and VegasCasino.io. 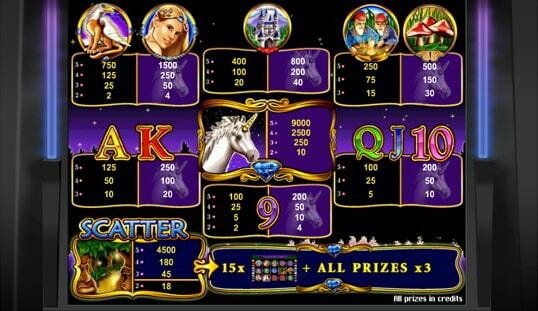 Play Unicorn Magic slot with Bitcoin and discover what this Novomatic product can do to your bankroll.